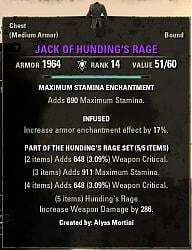 Adds percentual crit chance to set bonus description. (2 items) Adds 648 Weapon Critical. 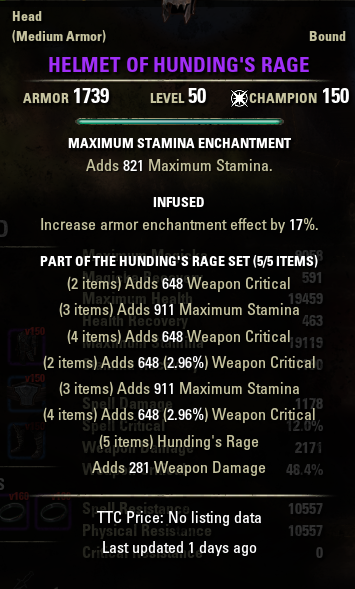 (2 items) Adds 648 (3.09%) Weapon Critical. - slightly changed new bonus lines layout, so it should work better with french client, however it still does not play nice with crafter name. I will fix it when I find out why I'm getting anchor error when I touch that line. My tooltip ist broken/corrupted. This error is not only at API-Version 100023, it was too at API-Version 100022. Before someone ask again, the bug with addons can't be fixed. This addon dont work with RuEso, right? 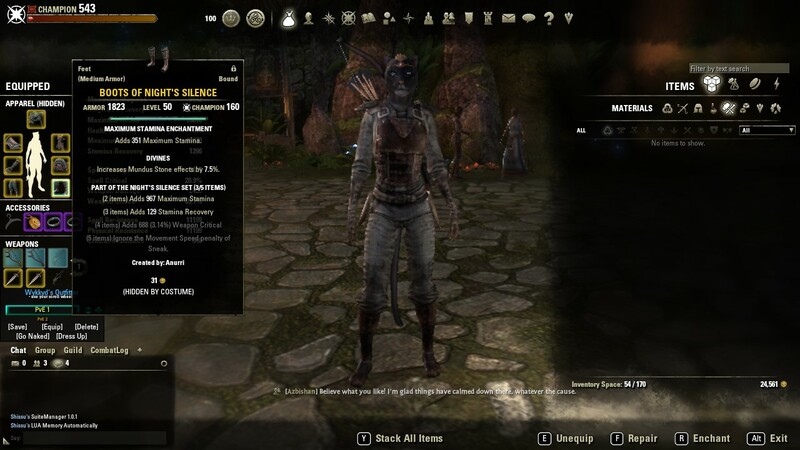 I can confirm the at least one of the conflicting addons causing the double display of crit chance set bonuses is Tamriel Trade Center. It can be fixed in game by turning all the options under TTC's Tooltip Settings to off. I know this won't work for some people, but for those like me that only use TTC to post your items to their website to reach a broader audience this did the trick allowing me to run both addons together while getting rid of the double crit bonus conflict. I've noticed something like the double-listing of set bonuses as well. Only for me it happens on the equipped weapons and nothing else. 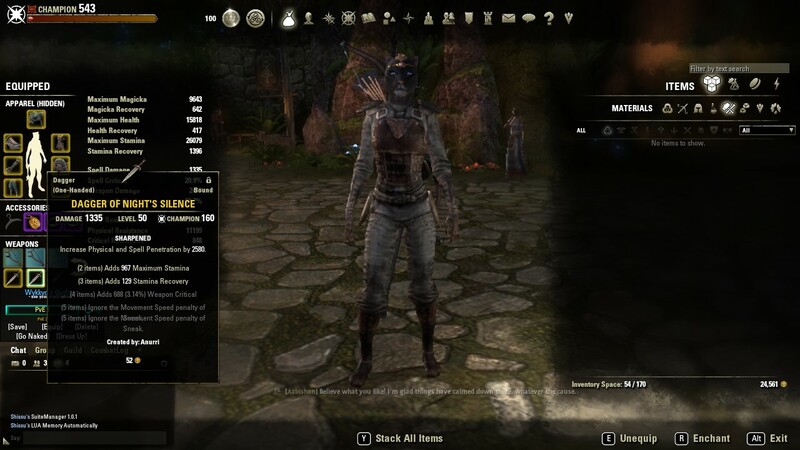 I'm not using Tamriel Trade Center, Master Merchant, or Mobile Bank. Instead what I have that modifies tootltips are Research Grid (for who knows what Motifs), Master Recipe List (ditto for recipes), Crafting Material Level Display, and this addon. I've disabled them all except CritPercent and the issue persisted. The fact that its double-listing set bonuses is a bit annoying. I can live with it, and I can also go without the addon for a while. I don't know what else might be conflicting with it and making it behave like this. Disable the addons which add something on tooltips, then test. If it works, name of addons please. Mobile Bank is very outdated, so I'm guessing that one. I may just disable that addon altogether. I don't use it much. EDIT: It appears to actually be Tamriel Trade Centre that is causing it. I disabled it and enabled both Master Merchant and MobileBank Extended and the issue is NOT present. It only happens when I enable Tamriel Trade Centre. I posted this info in the comments for TTC addon. Thanks, I'll look at it. Love this addon first of all and wondered how you are coming with the TTC fix so they don't conflict. Weird how the 4th set doesn't duplicate like the 2nd does. I know it isn't your job to fix conflicts, that's alright, just letting you know of a conflict. I'll let the other guy know of his conflict as well. 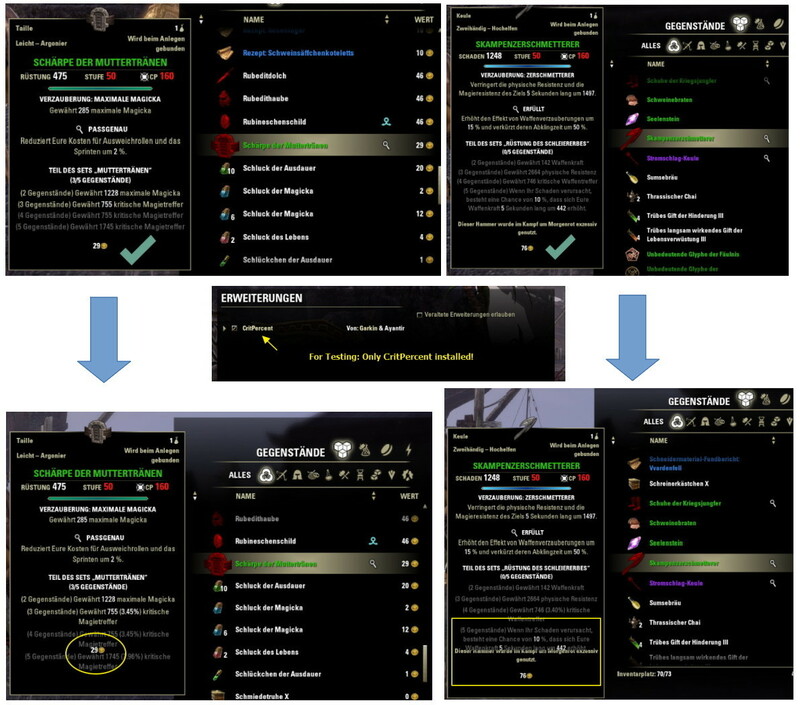 Ignotus on the official ESO forums. @Ign0tus in-game on the NA PC server. Last edited by BigMons : 09/05/16 at 09:23 PM. I had uninstalled this addon due to messed up tooltips. I just now reinstalled it because I noticed that it was updated. However, I still have duplicated tooltips, so I had to uninstall again. I also had duplicated tooltip on a worn item on a character that is not wearing a polymorph or costume and does not have his helmet hidden. Last edited by BigMons : 09/05/16 at 09:08 PM. For crafted weapons (Bow of the night mother) the last two lines are duplicated/overlapping. I'll have a look, but if lines overlaps, it's a small bug I can't easily fix without reducing text length. 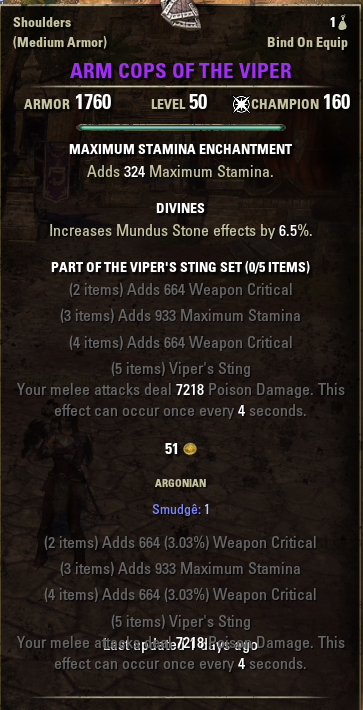 Will this addon also work with crit resist? Woud be nice!